Among the many recent activities of the Russian Cultural Centre in Cairo were organising the end of winter, and honouring Egyptian and Russian women working in the centre. Celebrating the end of winter and the approach of spring, the Russian Cultural Centre held a reception Saturday in the presence of Minister Delegate of the Russian Embassy Svetlana Zubova, director of the Russian Cultural Centre Aleksey Tevanyan, and president of the Coordination Centre for Russian Emigrants in Egypt, Ludmila Salama, together with and a large number of members of the Russian community, members of the Russian diplomatic mission and the Russian media in Egypt. The celebration started with an offering of bread and salt to the public, according to traditions and customs of Russia. Then members of the Russian community performed a play about the end of winter and welcoming spring. Along with Russian folk rites marking the change of the seasons, the reception reviewed the most important sports practiced by Russians in winter, and included competitions among children. 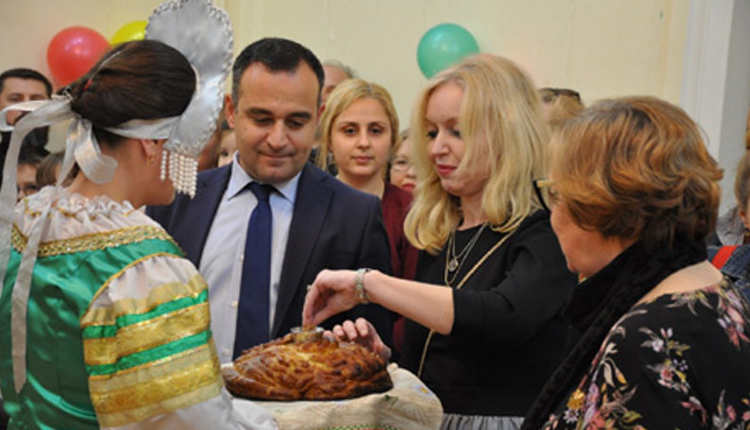 Salama, head of the Coordinating Council for Russian Expatriates in Egypt, highlighted the importance of the celebration, where Russian cuisine is offered, an exhibition of handmade and popular Russian products is held, a musical show inspired by Russian folklore is staged, and gifts are presented to children. A large number of Egyptian students and scholars who study in the centre attended the ceremony as well as graduates of Russian universities. Earlier this week, Tevanyan honoured Russian and Egyptian women working in the Russian Centre in the framework of events in March marking the role and contributions of women. Tevanyan thanked all the women working in the centre for all their efforts in support of various cultural activities in the centre and affiliated with it. “There is no doubt that these activities contributed effectively to the distinguished position the centre achieved in 2018 to be one of the most important foreign cultural centres in Egypt, according to Camelia Sobhi, first undersecretary of the Ministry of Higher Education and acting head of the sector of missions and cultural representation at the Ministry of Higher Education and Scientific Research,” added Tevanyan.